Besides the standard 'trunk cabin' version (shown in photo), a 'Futura' raised deck model (drawing) was also available. Some were sold as kits. 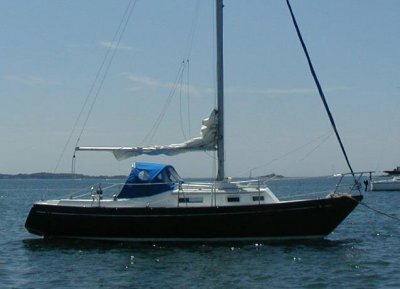 Thanks to SEAFARER 29 owner Steve Birkelund for providing photo and updated information on this yacht. 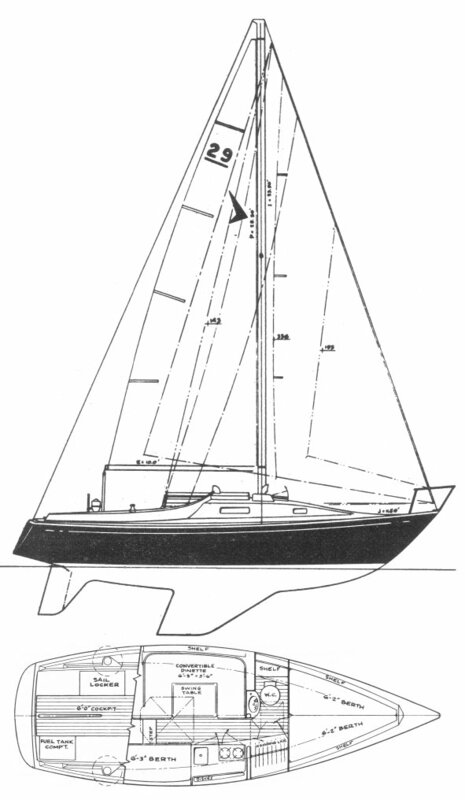 A version of the SEAFARE 29 configured to rate as an IOR half ton racer was also available.